The re-release of the classic record will include unreleased music. Garbage have announced plans to rerelease their debut album. The record will celebrate the 20th anniversary of the eponymous LP. The album, which includes the tracks Queer, Only Happy When It Rains and Stupid Girl, has sold over two million copies worldwide. The rerelease will include remixes and previously unreleased music. Plus, a fanzine and signed photo of the band will be included in the "superdeluxe" 3LP special edition. 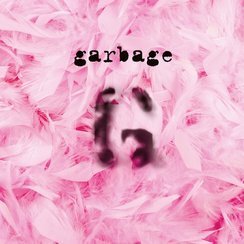 Speaking on the release, lead singer Shirley Manson said "This is a very special occasion for all of us in Garbage. We are particularly excited about the upcoming tour ­– the intent of which is pretty much the celebration of a 20 year long affair between us and those who have loved us." Garbage will be touring in November, with two very special shows at London's Brixton Academy. Tickets are on sale now. You can see the full tour dates below.